The Texas Longhorn Heritage Foundation (TLHF) is the Texas Longhorn industry's only independent foundation. The TLHF exists to support worthy causes for breeders in the Longhorn industry. Home to the Mosser Family Memorial Scholarship Fund and expanding in other areas, the TLHF is your trustworthy source for donations to better our great breed. 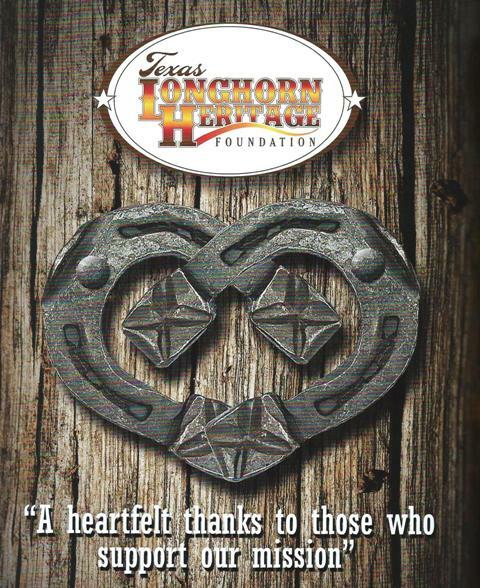 The Texas Longhorn Heritage Foundation is a 501c3 charitable organization existing to benefit Longhorn breeders and their extended families. Our focus is to give back to the Longhorn community during times of hardship and individual need.